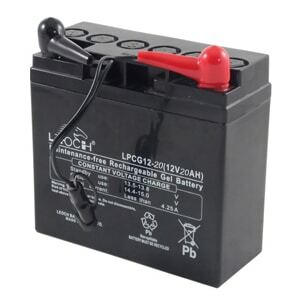 The Leoch Gel 20ah 12 volt golf battery is suitable for most small to medium sized trolleys. Gel technology is far superior to traditional lead acid golf trolley batteries because they are more resilient to extreme conditions and will not allow themselves to become fully discharged during their working life. 30% more cycles compared to that of AGM battery types. Always check against your existing battery size before ordering.